Allux 200 - Locking Wall Mount Mailbox. 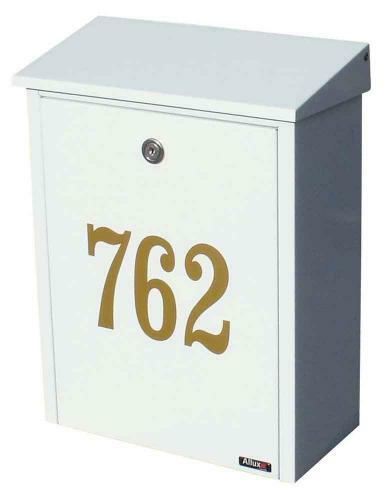 This is a beautiful rich and roomy, top-loading, locking, wall mount mailbox. A top lid covers the 9-7/8" x 1-1/2" slot. Steel con- struction with durable powder coated finish available in black, white or red. 11" x 15-3/8" x 5-1/2". Dimensions:Mailbox Measures: 11" x 15-3/8" x 5-1/2" Slot: 9-7/8" x 1-1/2"